Day Two of the Springfield Scottish Squash Open at Oriam, Scotland’s Sports Performance Centre in Edinburgh, saw fifteen of the men’s and women’s seeded players progress to the quarter-finals, the exception being an all-Scottish upset as Georgia Adderley ousted third seed Alison Thomson in a full-blooded four game encounter. Adderley took a two game lead, but Thomson reduced the deficit as she took the third. With both players giving their all and fist pumps all round, it was 18-year-old Adderley who prevailed in an extended fourth game to become the only unseeded player left in the draws. 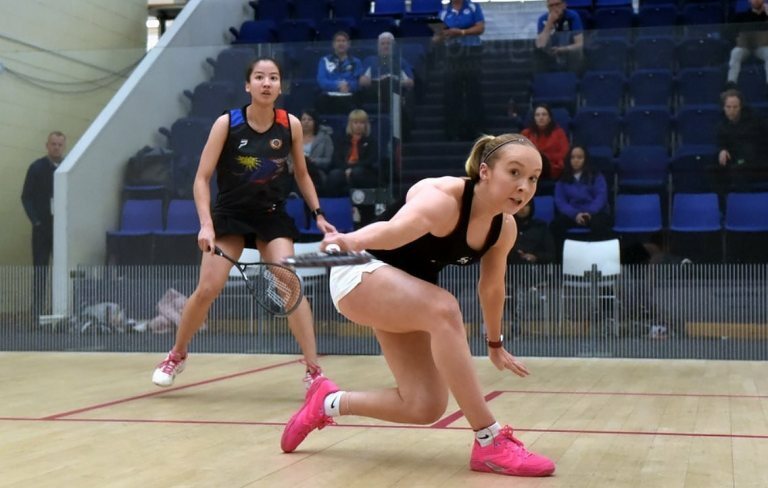 English trio Lucy Turmel, Jasmine Hutton and Kace Bartley will also feature in the quarters, top seed Turmel and Hutton meeting for a place in the last four. Pakistan’s Faiza Zafar denied England a 50% share in the quarters as she beat Charlotte Jagger in five games. 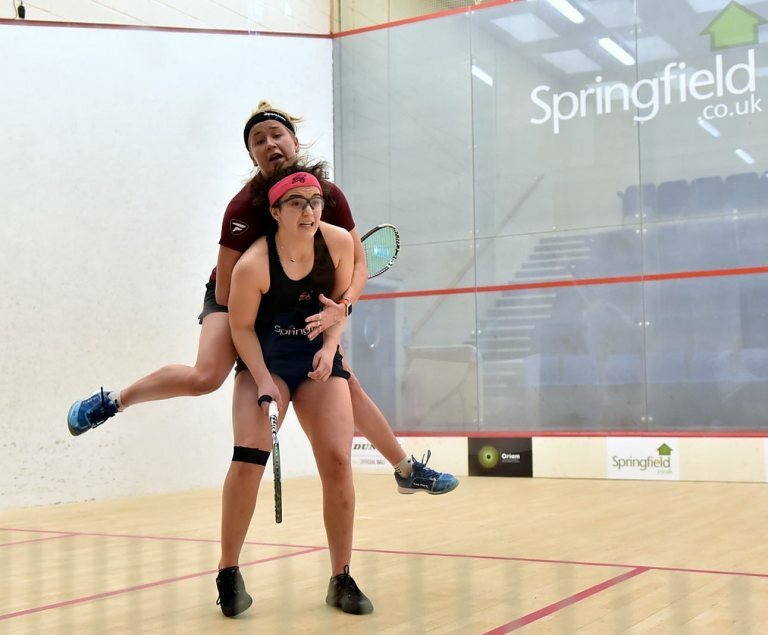 Eighth seed Ooi Kah Yan was the only one of three Malaysians to survive, although second seeded Frenchwoman Melissa Alves had her work cut out to beat Aifa Azman in five. 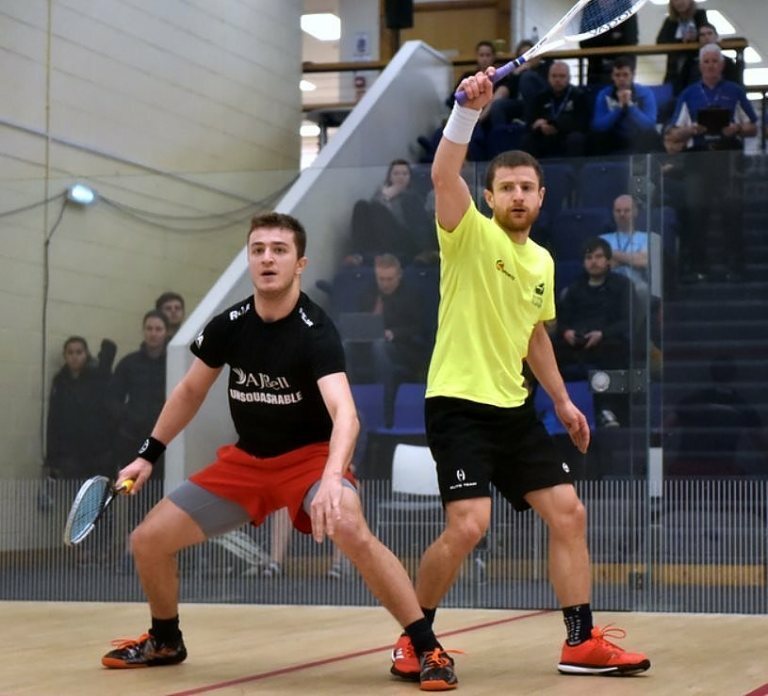 Top seed Alan Clyne progressed comfortably enough against Englishman Stuart Macgregor to keep home interest alive in the men’s draw, and in the quarters he’ll face Sebastien Bonmalais, one of two Frenchman in the last eight alongside third seed Victor Crouin. Adderley and Clyne were the only Scottish survivors as wildcards Lucie Murchie, Katriona Allen and Rory Stewart all lost out.